Bhutan Land Of The Thunder Dragon: How Viable is COST+? 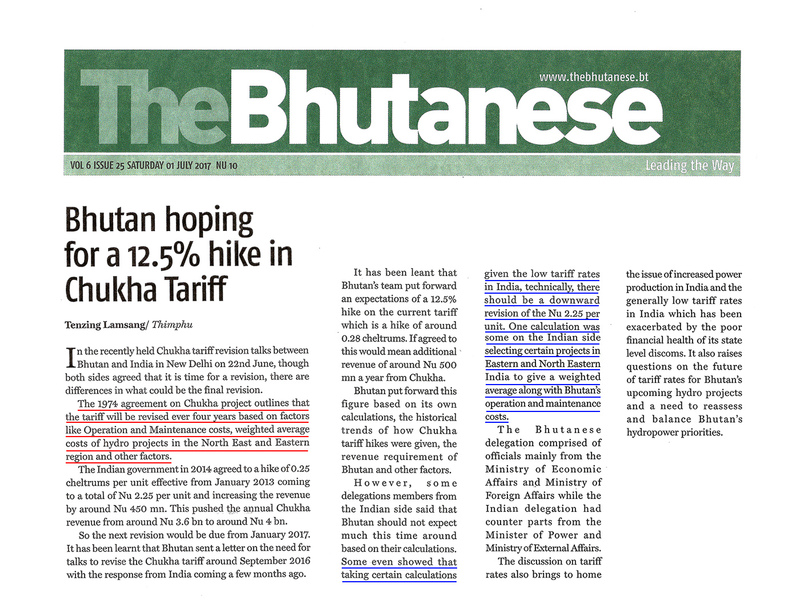 Tenzin Lamsang, writing in his TheBhutanese newspaper of 1st July, 2017 brings to light some bizarre arguments being put forward by the Indian negotiating team, why Bhutan cannot be entitled to a 12.5% upwards revision of the Chukha electricity tariff, after four years of the tariff remaining static. The Indian negotiating team is apparently already quoting factors such as low tariff in India, as the basis for attempting to deny us a revision in tariff. As I had mentioned in my earlier posts, cost of generation in India is also falling dramatically. So next time round, this is bound to be one more point for contention. So tell me, how realistic is it to believe that the famous COST+ will still be the basis for the fixation of tariff for electricity exported from PHEP I & II? Particularly when the cost of generation of these two disasters would have crossed Nu.10.00 – 11.00 per unit, by the time they come on stream, if ever? As stated in my earlier post, judging from the recent trend in India, the cost of generation is likely to drop below Nu.2.00 per unit. In a situation such as this, where would our PHEP I & II stand? What is the likelihood that India may decide, quite sanely if you ask me, that it would be cheaper for them to scrap the whole deal, rather than pay, if it is really true, COST+ for electricity generated by PHEP I & II? 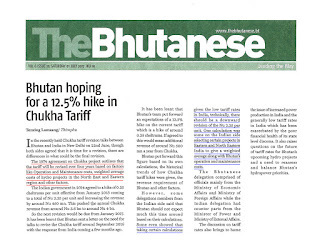 Come to think of it, that may be the cheapest way out for India, as well as for Bhutan. In fact that is something I would welcome very much. But indications so far have been that we are hopelessly inadequate in the craft of analytical thinking.